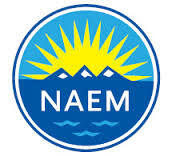 I recently attended my first National Association of Environmental Managers (NAEM) conference. It was fabulous! Good content and a nice mix of sustainability practitioners from both large companies, small companies, and various types of advisors. I especially liked the fact that practically everyone I met was on the “front line”—measuring results, setting out strategies, and reporting progress. Apparently a lot of companies have realized that their environment, health, and safety experts know a lot about another “S”—“Sustainability.” We at CSRHub have divided sustainability into four areas: Community, Employees, Environment, and Governance. I was told that many EHS managers (who had dealt in the past mostly with the Employees and Environment areas) were now being asked to also help with Community relations and with the sustainability reporting aspects of Governance. This change makes a lot of sense to me. EHS professionals (NAEM has members who work at 800 different companies) have firmly established their roles within their companies. They are hands on and tied directly into daily operations. Their reports often end up on the desk of their company’s CEO—because CEOs increasingly recognize that their company’s success depends on having a clean environmental record and on ensuring that their employees are safe and healthy. EHS professionals have traditionally had a technical or engineering background. This makes them comfortable with designing and implementing software-based tracking and reporting systems. 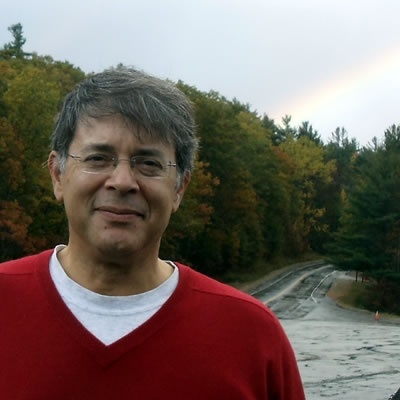 They are used to organizing and rationalizing processes that had not been looked at before, from a fact-based, statistical approach. It seems that the new “S” role is often the result of collecting together programs that had previously been scattered across various areas. Employee engagement programs, charitable giving, and product improvement processes are now being tied to and can contribute to the success of traditional EHS programs. I suspect this shift may relate to the trend towards integrated reporting. EHS professionals are used to submitting information to government regulators. They understand how important it is to have data that is both accurate and auditable by outside third parties. Integrated reporting is driving the “soft” parts of sustainability management toward greater accuracy and exposing them to scrutiny by both internal auditors and outside stakeholders such as investors and non-governmental organizations. Next time you come to an NAEM conference, look at the cards you get. I’m sure you’ll see many that sport an extra “S.” Ask the question I did—“Does that extra letter mean you got another 1/3 added to your budget?” I’m sure those you ask will laugh as hard as those did, as most have neither gotten more budget—or a raise—despite the extra burdens they’ve accepted. CSRHub® provides access to the world’s largest corporate social responsibility and sustainability ratings and information. It covers over 15,000 companies from 135 industries in 132 countries. By aggregating and normalizing the information from 400 data sources, CSRHub has created a broad, consistent rating system and a searchable database that links millions of rating elements back to their source. 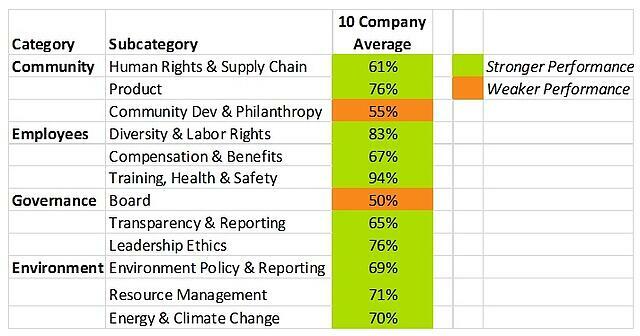 Managers, researchers and activists use CSRHub to benchmark company performance, learn how stakeholders evaluate company CSR practices, and seek ways to improve corporate sustainability performance. Many companies use manual systems to collect data on and manage their sustainability programs. However, a growing number are using software tools that were professionally-developed for this purpose. In this study, CSRHub partnered with French software company Tennaxia, to study the perceived sustainability performance for fourteen of its customers. Tennaxia offers a wide range of employee health and safety (EHS), environmental tracking and reporting (ETR), and corporate social responsibility (CSR) reporting solutions to hundreds of corporations. Its clients operate in 70 countries. CSRHub provides sustainability information on more than 13,000 companies in 104 countries. 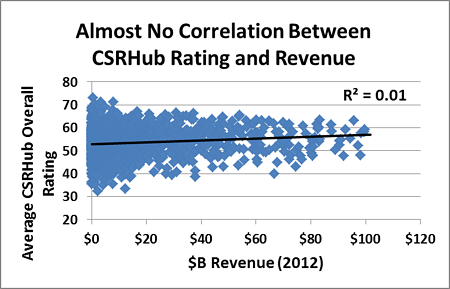 CSRHub’s ratings and metrics are drawn from more than 360 sustainability data sources. A. CSRHub should be able to rate the sustainability performance of most of Tennaxia’s customers. CSRHub includes data from sources such as Wall Street analyst firms, non-governmental organizations, government agencies, and crowd-driven ratings groups. It seemed reasonable that companies who were willing to invest in installing and operating Tennaxia software would share the data they gathered with our sources—who in turn would share their views of the data with us. B. Tennaxia’s customers would have generally high sustainability ratings. Again, it seemed reasonable to assume that companies who are interested in collecting and analyzing their sustainability information would also take steps to improve their social performance. We have no way of knowing which companies use external tools to help manage their sustainability data. If a company does buy external tools, we don’t know which vendor they buy from. This data is normally not disclosed by vendors or by their customers. However, we do believe that a large majority of the 10,000 companies we currently track in CSRHub’s system do not have formal software tools in place. C. The strongest ratings areas for Tennaxia’s customers would be those where its software collects and manages data. Tennaxia’s product suite includes programs for managing suppliers, tracking employee issues such as health, safety, and diversity, and reporting on environment, social, and governance-related metrics. These are areas that are often reported, externally through government filings, CSR reports, or frameworks such as CDP, GRI, and the UN Global Compact. 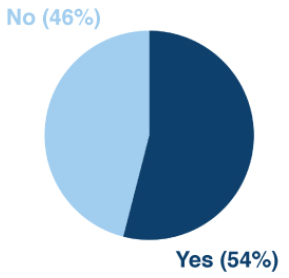 A recent survey by Rescore (Effective CSR Data Management) found that 78% of major organizations currently have or plan to add EHS and CSR-tracking software. 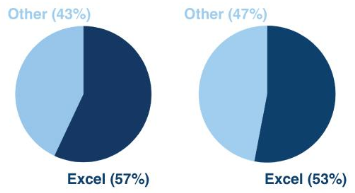 Despite this intention to use software, a majority of the 50 companies Rescore surveyed use Excel spreadsheets to track their data. This situation has not changed much, over the past three years. Sustainability managers have not been able to convince senior management of theircompanies of this software’s value. While more than 20 software companies produce EHS and CSR Data systems, none of them dominate these markets. Only about half of the installed systems have been integrated with overall corporate management systems. 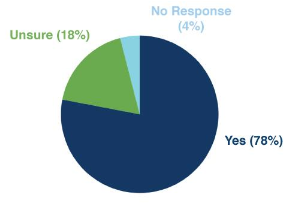 One argument for investing in EHS and CSR Data software, and for integrating it into overall corporate management systems, would be that doing so would improve a company’s perceived sustainability performance. Our study is a first step towards demonstrating this connection. The results from our study will continue in our next post.